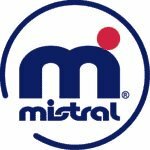 For years, the Mistral Screamer was the number one multipurpose short board. This was due to it's sailing smoothness, and that it is an ideal board for maneuvering in waves or flat water. 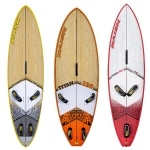 The screamer is one of the best all around short boards for the intermediate sailor. It does it all: fun in the waves, and can be sailed fast without requiring a high degree of skill. It rides smooth in rough water, and is so easy to turn that it almost gybes itself. This board is in B+ condition; well used but with no damage.